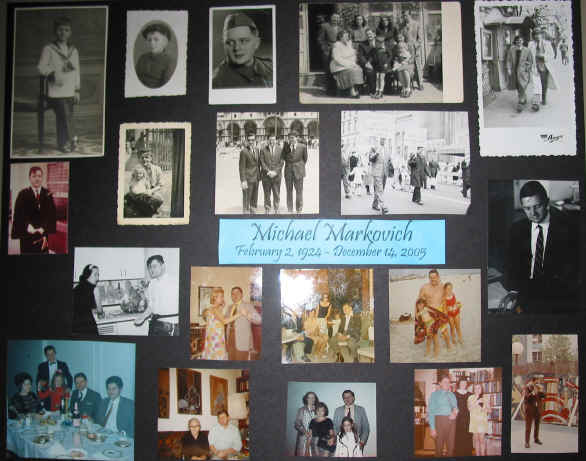 In my father's funeral, on December 23, 2005, my eulogy was preceded by a eulogy written by my sister Patricia that mentioned a lot of my father's biographical information. In short, he was born in 1924 in Belgrade, Yugoslavia (now Serbia), and left after World War II for France on a student's visa. He studied at the Sorbonne and got his PhD in Economics in 1956, after which he emigrated to the USA. He met my mother in Paris and they got married after she got her visa for the US and arrived in New York City in December 1956. He worked a variety of manual jobs (particularly in French restaurants) while he learned English, and then joined Bank of America as an international analyst. In 1961 he joined the faculty at Long Island University where he taught until his retirement in 1997 after receiving the title Professor Emeritus of Finance and Economics. 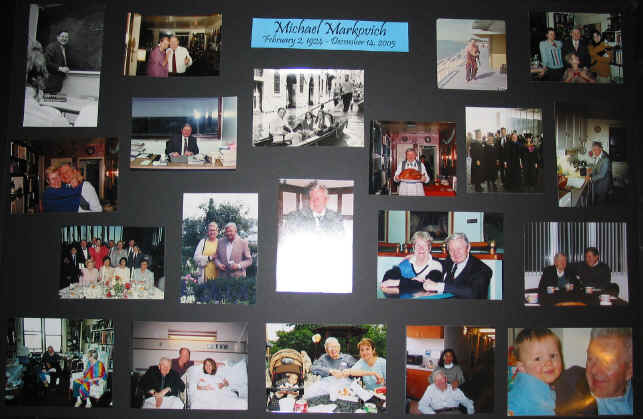 My dad was a generous and magnanimous man - very much a people person. He was well suited to his roles and father and teacher, and he played those roles well beyond what was expected. When I first came home with Keith in high school, he was a six-foot-plus tall leather-clad motorcyclist, who drank Boone's Farm wine and whose ambition was to drop out of high school and re-join the Hell's Angels. Basically, any father's worst nightmare for their teenage daughter's boyfriend. But once Dad realized that Keith really cared about me and was always there to protect me on the long subway rides back from Greenwich Village, Dad embraced him as one of the family. Dad became the father that Keith had never known. Two years later, Keith was applying to Hunter College and drinking Johnny Walker Red on the rocks, my father's drink. Keith went on to get a PhD in Archeology and I'm sorry that I've lost contact with him since, because I'm sure that he'd want to be here today. I think my father would want us to celebrate his life, because he always lived in the present. He often ate too much, drank too much, or spent too much money, but he know how to enjoy himself and appreciate the world around him. He and Mom dragged my sister and I to art museums, operas, ballets and the theater as well as late night dinners at Sardi's, The Four Seasons and many other fancy restaurants. As a child I didn't really appreciate it all, and I would get impatient when he spent what seemed like hours looking at a single painting, but he instilled in me a love of art and a real understanding of how culture can enrich our lives.